The Tata Hexa is the flagship product of the popular Indian passenger car maker. 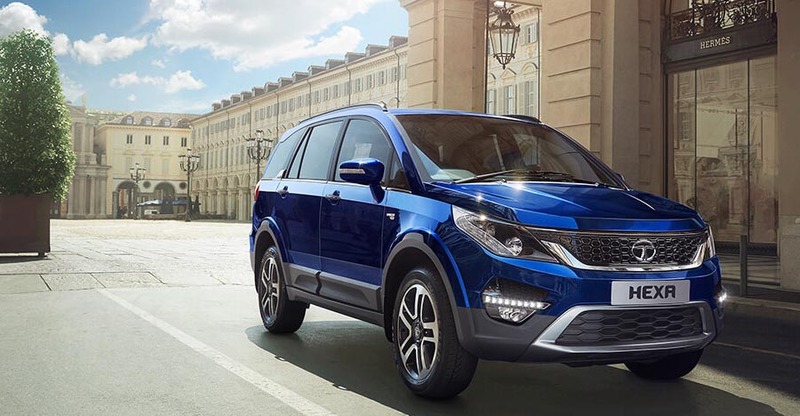 The Hexa is a sufficiently premium SUV that offers many features, including a high-end 11-speaker Harman-sourced audio system. However, you can also purchase a host of official accessories for your Hexa. Here’s a video that details all the official accessories. The vlogger has used the base variant of the Hexa to demonstrate all the accessories. For the front-end, you can purchase an upper grille chrome garnish to give the SUV a premium look. You can also install an illuminated logo and chrome garnish on the headlamp and taillamp. You can purchase bumper corner protectors to protect your car from minor scratches. Furthermore, you can install foglamps with integrated DRLs. In the side profile, you can install door visors and chrome garnish for the ORVMs. You can also install stylish alloy wheels on the lower trims. You can even buy chrome garnish for door car handles. Also, you can install a sunroof. Other accessories include a side-step and a lower side beading. For the rear, you can purchase a backdoor chrome garnish. You can also install a boot-gate lower chrome garnish. A reverse parking camera and sensors are also available. For the interior, you can opt for a wireless car charger, a dashcam, and a God idol. You can even purchase a body cover in case you don’t have closed parking. All these accessories can help you make your car look better. Some of them even enhance the convenience on offer.